I am beginning this Book Trail post with a memoir which I read as part of my Around the World in 80 Books challenge, and which I very much enjoyed. As ever, I have used the ‘Readers Also Enjoyed’ tool on Goodreads in order to generate this list. Which of these books have you read? Have any been added to your list? I have been wanting to read Penelope Lively’s childhood memoir, Oleander, Jacaranda, for such a long time, and it was thus one of my first choices on my Around the World in 80 Books challenge list. I have read and enjoyed several of Lively’s novels in the past, and was keen to learn about the woman herself. Where better to start than with her own memories of her childhood, lived in comfort in Egypt in the 1930s and 1940s? In her modest preface, Lively writes: ‘My childhood is no more – or less – interesting than anyone else’s. It has two particularities. One is that I was a product of one society but was learning how to perceive the world in the ambience of a quite different culture. I grew up English, in Egypt. The other is that I was cared for by someone who was not my mother, and that it was a childhood which came to an abrupt and traumatic end.’ Indeed, after living all of her early life in Egypt, and most of it just outside Cairo, Lively had to move to England after the Second World War, following the divorce of her parents; to the young Penelope, they are ‘peripheral figures… for whom I felt an interested regard but no intense commitment’. Of course, her nurse, Lucy, who is variously described as ‘the centre of my universe’, is not part of her new life. At the forefront of her exploration into childhood is the untrustworthy element of memory: ‘One of the problems with this assemblage of slides in the head is that they cannot be sorted chronologically. All habits are geared towards the linear, the sequential, but memory refuses such orderliness.’ With this constantly in her mind, Lively presents both her recollections, and the historical facts, of spending her formative years in such a turbulent and fascinating period, and a place so different from the England that she would later call home. Throughout Oleander, Jacaranda, Lively explores our capacities for recollection. Her memoir is one which feels balanced and measured from its opening page. There are few moments of drama, or melodrama; things happen which make a great impression on Lively as a child, but the importance of the everyday shines through. Lively’s voice is charming and beguiling. It is fascinating to see those moments where her childhood memories and adult eyes meet, particularly when Lively discusses her return to Egypt in the 1980s. Oleander, Jacaranda is honest, warm, and intelligent. 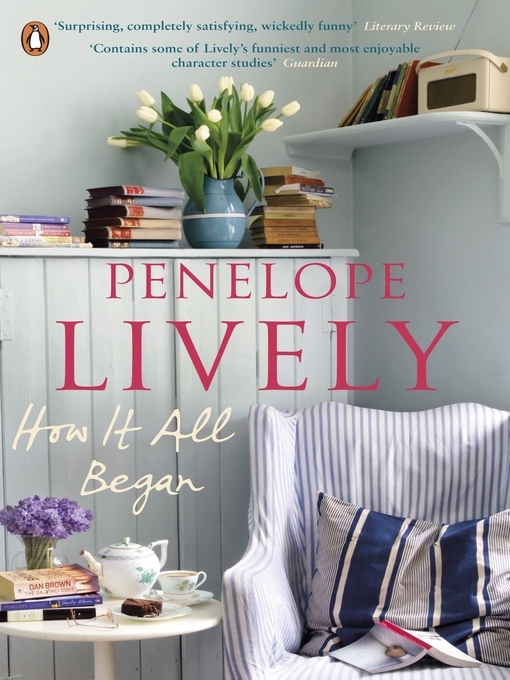 Lively somehow manages to make a very specific period of her life feel timeless in her depictions, and in consequence, her memoir of childhood is a joy to read. The second part in this installment of Really Underrated Books is here! Like me, I hope you are intrigued by some of the titles below. Again, all of these books have less than 500 ratings on Goodreads (in fact, many of them fall below the 100 mark), and there are some surprisingly well-known authors upon it. I had been wanting to read this novel ever since it first came out. Thankfully, my library had a copy, so I borrowed it as soon as I spotted its pretty spine upon the shelves. Like many readers, I really do enjoy Lively’s writing. I have read several of her novels thus far, and my favourite is certainly Consequences. The cover design of her newest novel, pictured, is one of the loveliest which I’ve seen in a long while. I love the fact that several copies of Lively’s other novels can be spotted if one looks closely enough. Throughout How It All Began, Lively touches upon a number of themes – ageing, education, opportunities, affairs, relationships and how they both develop and sour, community, racial integration, the notion of ‘fitting in’, making the best of bad situations, pain, healing, and the progress of time amongst them. As is also the case with Alice Hoffman’s books (another author whom I heartily recommend), Lively writes intelligently without making her work too saturated, or at all taxing to read. She is incredibly skilled at her craft. I found that the domino-effect structure in this novel very much suited the style of her prose, and she made the plot work tremendously well in consequence. The way in which she follows different characters throughout also works very well. Lively pulled me into her story from the start, and there is not a character in the novel who does not hold some degree of intrigue or interest. The only criticism which I can make here is that her dialogue does sometimes feel too prim and proper – almost of another era, really – for those who are speaking it. Regardless, I would happily recommend How It All Began to everyone.